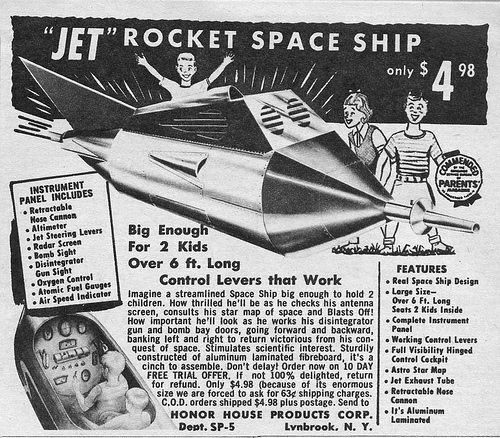 Home » Music » Darling Pet Munkee » Darling Pet Munkee Issue 5: Jet “Rocket” Space Ship! 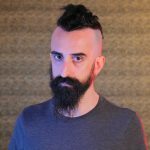 It’s time yet again for an examination of the item behind the Darling Pet Munkee song! There is sadly little of real consequence or excitement about the Jet “Rocket” Space Ship! 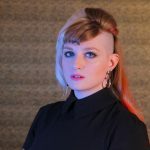 Update 1/13/12 – Secret Fun Blog has some images of the real deal from an eBay auction!!! 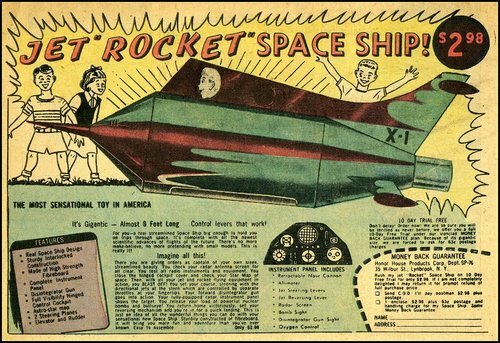 According to this post on Boing Boing, the “rocket” was a folding cardboard box shaped kind of like a space ship and it would appear that over 6-feet long includes the 2-foot point on the thing. 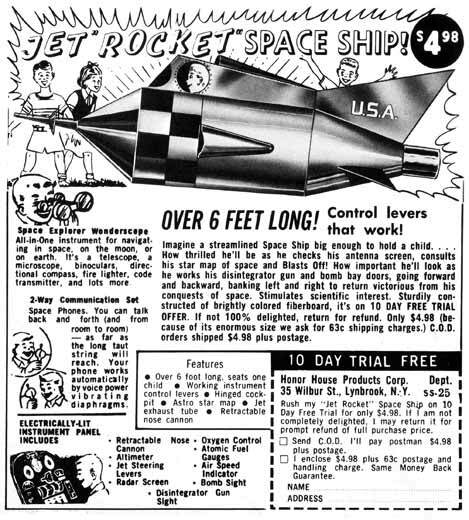 What I can offer instead of exciting tales of owning a Jet “Rocket” Space Ship, which I couldn’t find, is the song…and then a bunch of variations of the ad. 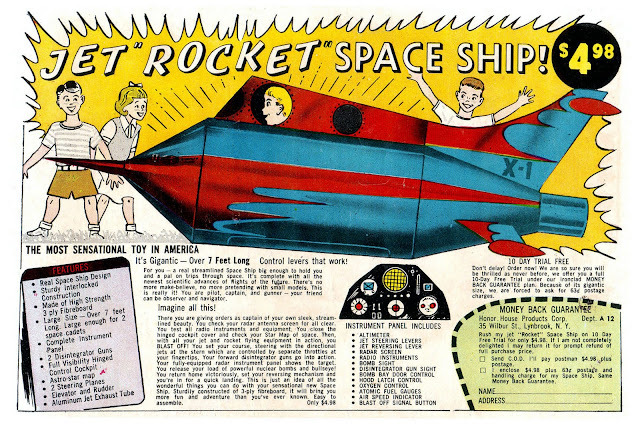 The most interesting variation, to me, is the shifting of quotation marks – Jet “Rocket” Space Ship!, “Jet” Rocket Space Ship, “Jet Rocket” Space Ship.